The Library of Congress Packard Campus for Audio-Visual Conservation represents the adaptive reuse of an outmoded, Cold War era Federal Reserve facility into the World’s largest archival and conservation center for audio-visual media. The 400,000 sf complex is integrated into the natural topography and incorporates 5 acres of green roofs, as well as porous pavements and other sustainable landscape techniques. 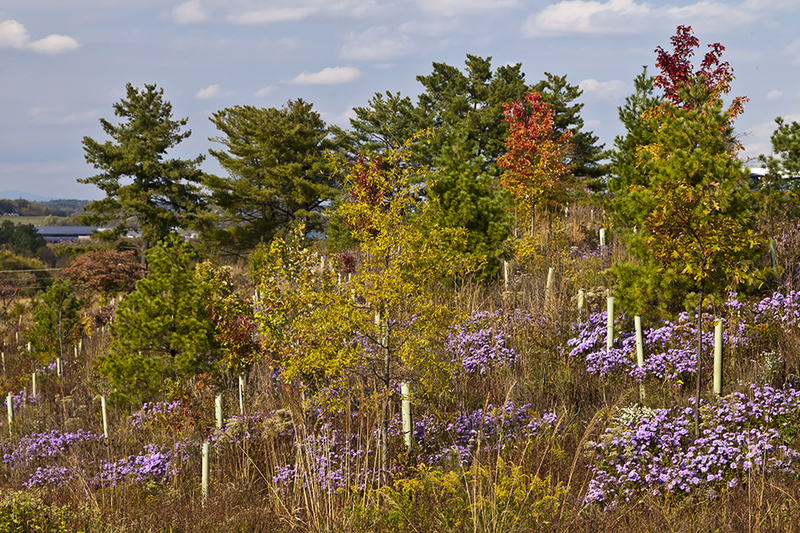 An ambitious reforestation plan connects with the surrounding woodlands, while the open meadow allows for unobstructed view to the Blue Ridge Mountains.